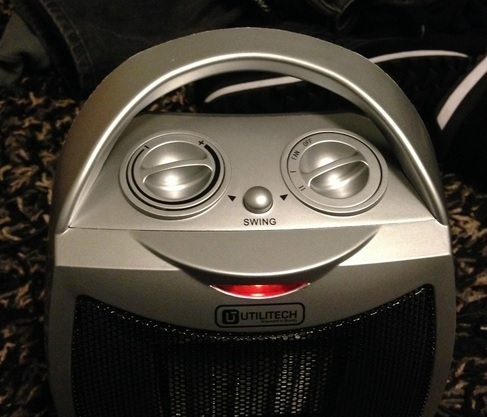 Space heaters add heat to a room to get it to that comfortable warmth level. It is that versatile go to appliance that most homes can’t live without. 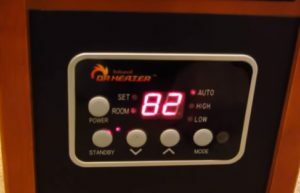 From helping to heat a room when a furnace is not needed, to adding heat to a room that doesn’t get enough. But what is the best space heater for your home? Since every home is different this question is not one-size-fits-all. One home may need only a small heater while another home may need multiple space heaters. For this reason we list our picks for the top five space heaters along with their features. As always be sure to read the reviews on amazon or elsewhere to be sure a unit is a good fit for you. The Brightown is small economical and cheap which helps it to fill a variety of heating needs. It has three manual controls, 1500-watt high setting, 700-watt low setting, and fan-only option. 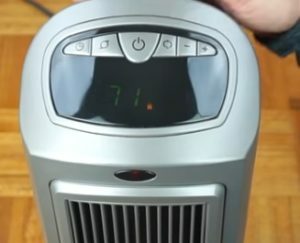 This gives it high heat, low heat, or fan only. How hot it gets can also be controlled by the thermostat which shuts off the heat. 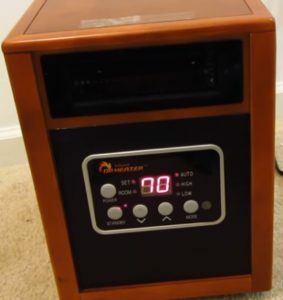 The Brightown is a durable basic low-cost unit that would be good in a small room or as an addition to a homes main heating system. 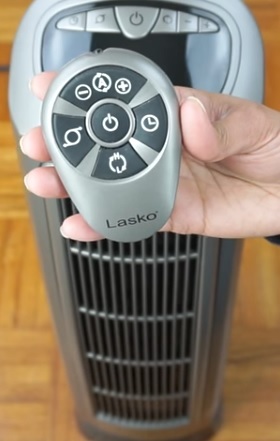 The Lasko 755320 is a 1500 watt heater with high and low settings. 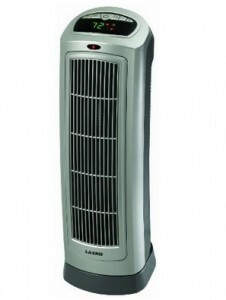 It has more height than many other heaters giving it a better spread of heat. It also comes with a remote control which is nice to control a unit from a distance. Button controls are also on the unit as well as a digital display. This Dr Infrared Portable Heater is a popular option built that has a wood cabinet. 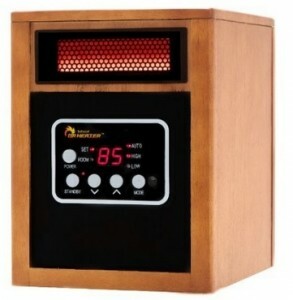 It is a 1500 Watt design that has a built in thermostat, along with high, low, and auto settings. A remote control is also included. It is rated to heat a space up to 1000 square feet between 50 to 85 degrees. Of course this will depend on how cold it is. 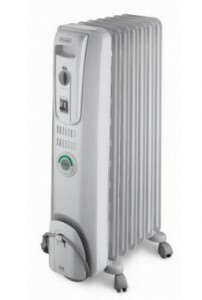 The DeLonghi EW7707CM is a 1500 Watt oil filled space heater. Oil filled heaters are more efficient than many other types. There is no fan to blow hot air instead they radiate out heat. 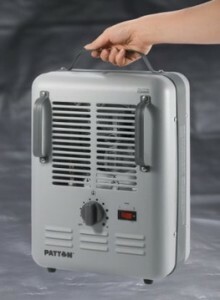 This Patton Milk-House Utility Heater is a classical design that has been used for many years, with many likely growing up with one in the house. It is a good design that has with stood the test of time. Most the components have been updated over the years. Having a portable space heater is always a good idea. Having a go-to emergency heating is a good thing to have as well as a unit that adds to a homes existing heating system. Units can also be sued to warm up small rooms that don’t get a good supply of air from the main system. There are many good units available from small to larger models that put out more. If more than one unit is used be careful not to put it on the same breaker circuit as to not trip a breaker.